Take a look at this extremely well maintained 3 bedroom, 2.5 bathroom custom home! As you enter the home you will find that the owner have done a number of upgrades throughout the home. Starting with the flooring, at the entry, there is hardwood floors which extend to the half bathroom. Walking through the home, you will find fireplace in the formal sitting area. Continuing through the home, you will find the flow from the sitting area to the kitchen to be ideal as the kitchen looks out to the rest of the living space. As you make your way upstairs you will find that the bathrooms have all been well kept, with the master being completely renovated and the hall bathroom having having a newer vanity as well as a laundry chute! The master bedroom does offer access to a deck that overlooks the spacious backyard. As you head to the back yard, you will find a sturdy patio which will provide suitable cover during the hot summers for the family get togethers. 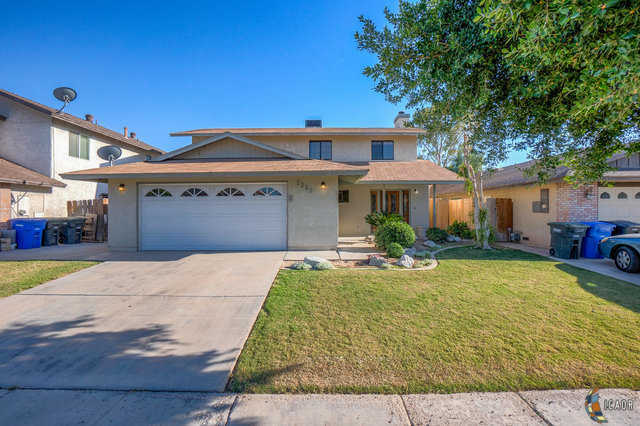 Please, send me more information on this property: MLS# 19455416IC – $269,990 – 2321 W Hamilton Ave, El Centro, CA 92243.